Pillows are an easy way to change the look of a space without knocking down walls and all-out renovating. Here are some fantastic pillows by Ichcha, one of our Good Cloth designers. What we love is that these designs combine style and ethically-sourced organic cotton, or natural Khadi, all while sustaining hand block printing tradition. Material is dyed with vegetable dye, a traditional method of coloring fabric that only uses natural ingredients. We had a hard time choosing a favorite, but the block printed houses on the Amsterdam pillow will be loved by adults and kids alike. 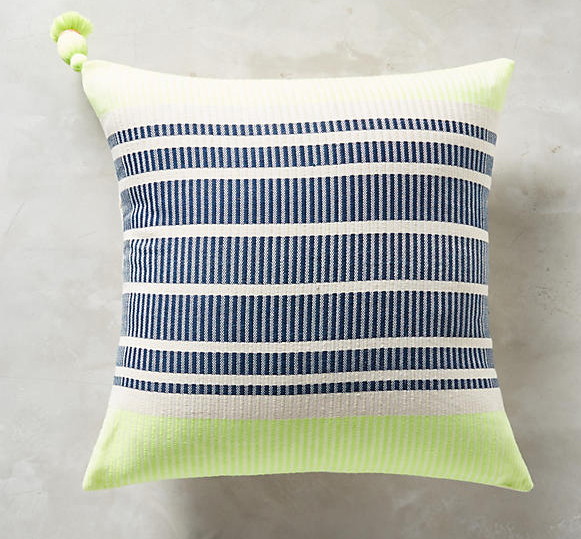 This mellow yellow, sunny fair trade Lula Mena Converta pillow makes us happy. It works excellently to add summer flair to a space without much effort. There are only a few left. The company makes handmade products using eco-friendly, fair trade materials. Lula Mena focuses on women empowerment and innovation. 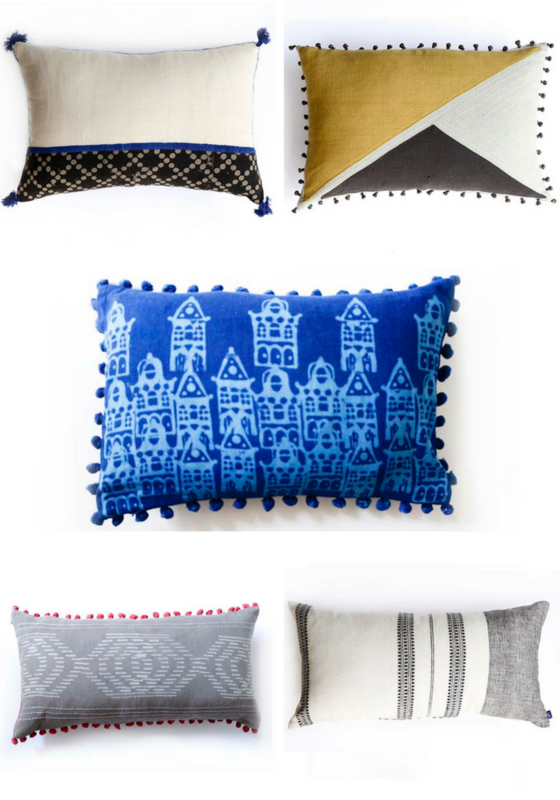 I’m loving all of these but the blue lumbar pillow is really cute. Thanks, Angela! The blue Amsterdam pillow is really fun.